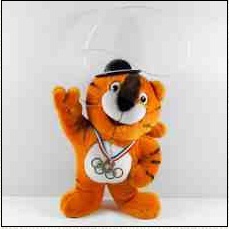 With only 6 days to go, we start with our countdown to the London 2012 Summer Olympics. 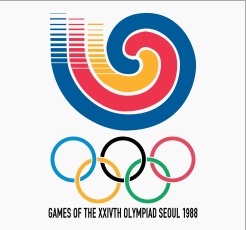 In 1988 Seoul Olympics Kenya managed to participate in 7 disciplines; athletics, boxing, Judo, hockey, weightlifting, wrestling and shooting. That year the Kenya sent 74 participants who comprised of 70 men and 4 women. In the 1988 Games Kenya won 9 medals; 5 gold, 2 silver and 2 bronze, producing their best performance since their debut in 1956. In the overall medals standing, Kenya was 20th position with the Soviet Union leading with a total of 132 medals (55 gold, 31 silver and 46 bronze). In the men’s 800m, Paul Ereng bagged gold for the country. In the men’s 1500m, Peter Rono also won a gold medal to make it the first ever win the 1500m since 1968. In the men’s 5000m, John Ngugi won another gold medal. In the traditional men’s 3000m steeplechase, Julius Kariuki won gold ahead of compatriot Peter Koech who bagged a silver medal. In the men’s marathon, reigning world champion in marathon Douglas Wakiihuri came second to grab the silver medal. In the men’s 10000m, Kenya only managed a bronze medal from Kipkemboi Kimeli. In the boxing arena, (deceased) Legendary Robert Wangila Napunyi knocked out Frenchman Laurent Boudouani to become the first Kenyan and African boxer to ever win an Olympic gold medal.